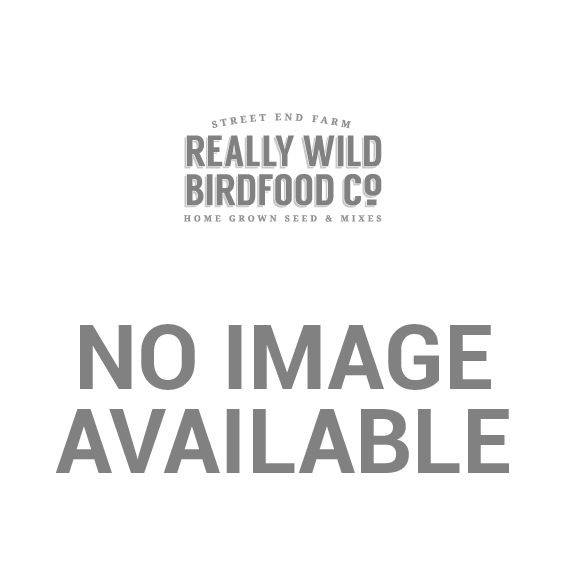 Birds love peanut butter, and we've got the perfect way to serve it to them! 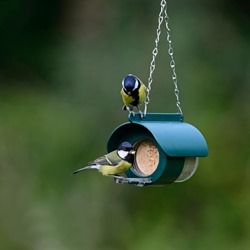 Our peanut butter feeders are specially designed to house jars of Flutter Butter, our favourite brand of bird-friendly peanut butter. The feeders themselves can either be attached to walls/fences or suspended from poles, tree branches, etc. using the chain that's included with each one. 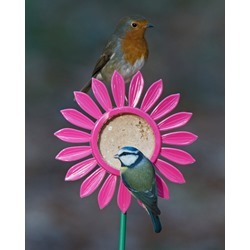 Peanut butter is a very nutritious dish for garden birds, and our peanut butter bird feeders are sure to make a lovely addition to your outdoor space. Please note that birds should not be fed the kind of peanut butter that we humans eat, as it contains too much salt. 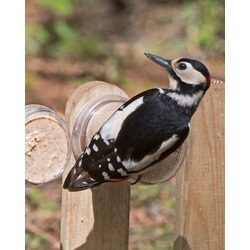 Bird-friendly peanut butter can be purchased from our Peanuts & Peanut Butter page. 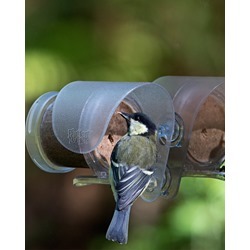 Flutter Butter Pods - Wall Mount For walls, fence posts and garden sheds!